Sleeping and getting dressed: these are two things that an average person does to prepare for a long day. Living sustainably is often associated with shopping with less plastic or composting in your garden, but going green can begin in your own home, from the moment you wake up. A typical American generates about 4.3 pounds of waste daily. If you look at the numbers, this is 1.6 pounds more than what was produced back in 1960, according to the Center for Sustainability & Commerce. Although popular lifestyles like Green Living and Zero Waste actively promote sustainable means of living, some things in your home are just too difficult to dispose. Mattresses are considered a bulky waste by many trash collectors in different countries. Given that their materials consist of sponges, foams, latex, and steel springs, they can be difficult to segregate and recycle. There are many charity shops do not accept mattresses due to sanitary concerns and junk shops think they are too large of a waste to be able to resell. Fortunately, more and more cities in America are starting to find better ways to combat this issue. In Sacramento County, the Mattress Recycling Program allows people to drop off their old mattresses for no fee at the North Area Recovery Station and Kiefer Landfill. The mattresses are loaded onto trailers and are picked up by mattress recyclers. These recyclers have years of training and experience in trained in separating each component of a mattress into individual recyclable materials, from the tiniest particle up to the thickest fabrics. The County’s Department of Waste Management and Recycling has proudly recorded about 24,000 recycled mattresses in the last two years since the beginning of the program. The mattress materials have been used to make new appliances, industrial materials, and even textiles. “Bye Bye Mattress,” a mattress recycling program implemented in 2013, asks for a recycling fee collected for each mattress and box spring sold. Rhode Island, California, and Connecticut were the first states to sign in on the program and recently, the City of Lompoc has joined the list. Connecticut alone has diverted more than 150,000 mattresses from the landfill in a single year, which includes 2,800 tons of steel, foam, and other mattress materials. There are 101 sites in Connecticut that offer the recycling services for free. Recycling fees and loading old mattresses to a collection site is a small price to pay for the amount of waste homeowners are reducing from landfills which will eventually benefit the environment. Aside from beds and mattresses, one way you can live sustainably every day is through your clothing. People have developed a weird fixation over cash register beeps, the weight of shopping bags on their arms, and the smell of newly unboxed shoes. 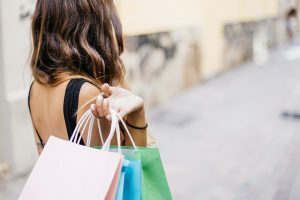 We’ve all heard of retail therapy, but what else do you know about the massive supply of clothing? The fast fashion industry of America is notorious for manufacturing more clothing than the world consumes. What these brands aim to do is to bring the runway to the malls, making them cheap enough for middle-class consumers to buy on impulse. Sadly, not everyone is aware of the detrimental effect of retail therapy on the planet. We don’t see the consequences of our garbage until we’re at the receiving end of its effects. Independent clothing brands all over the world produce sustainable, ethical clothin gas a social responsibility. Big brands don’t tell you this but you really don’t have to support fast fashion to look stylish. Heck, you don’t even have to go to a mall to own the runway. Sustainability begins with a choice. Maybe now’s the time you should make a change, too. Unwanted clothes don’t always go to thrift shops. Based on a study by the Environmental Protection Agency (EPA), 84% of discarded clothes goes to a landfill. From this global obsession over disposable clothing, there are around 12.7 million tonnes of textile waste thrown away each year. Some may think that’s harmless, but since most disposable clothing consist of semi-synthetic fibres, they emit potent greenhouse gas methane as they decompose. The Zero Waste lifestyle promotes a reduction of waste. 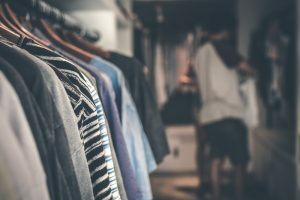 One way to stay fashionable while minimizing the amount of trash that ends up in landfills is buying secondhand clothing. While fashion brands are cheap, thrifted clothing is cheaper. Variety is a thrift store’s asset – the possibilities are endless. Consumers know the big brands, the models, the size charts. What they might not know is the people behind them.Most, if not all famous fast fashion brands outsource their manpower. This means that the owners put up sweatshops in third world countries like Cambodia, China and India to get labour for cheap.This means big brands get to sell their clothes while their factory workers suffer from toxic chemical exposure, poor working conditions and an insufficient pay. The simplest way to help alleviate this problem is to only support brands that have ethical ways of producing their clothes. A lot of independent brands have economic and social development standards that they abide to. For both beds and clothes, shopping sustainable isn’t easy. With enough research and love for the planet, however, anyone can be comfortable at home and fashionable while loving the planet.